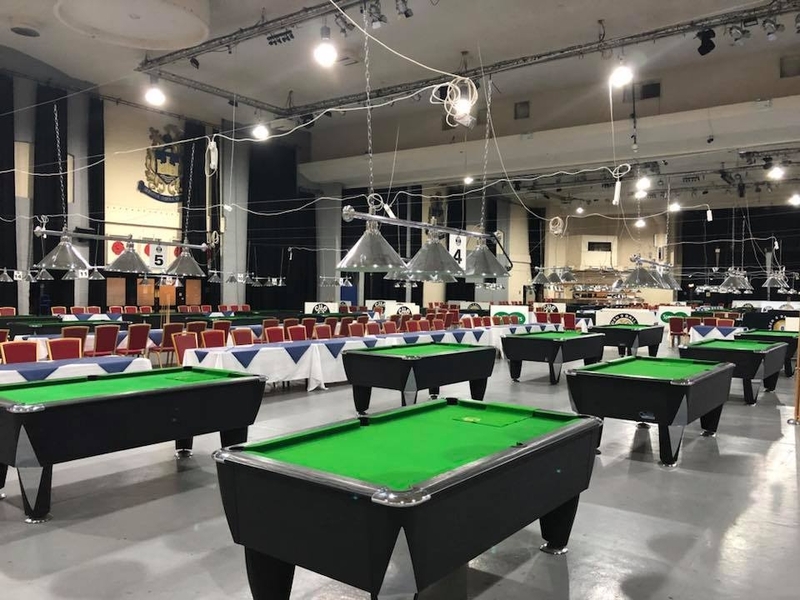 Over the weekend, the Golden 8 Ball Tournament drew to a close in Blackpool, which was the largest event to date, featuring 256 teams over two weekends of events. Powerglide is a proud sponsor of the tournament, the first of which was held in 2011. Despite the inaugural event containing just 28 teams, the years since have seen the tournament grow exponentially, doubling in size in 2012 and before the first ball was potted this year, it had grown almost tenfold in just 7 years. The first weekend of action saw the Amateur Series take place in Blackpool. The aim of the Amateur Series is to extend its appeal to the less skilful players and actively reduce the number of strong teams entering. The weekend featured Round Robin stages, with each player playing each opponent once in a match. The format is more conducive of a 3-player event, and reduces timing pressure in the arena, allowing novice players longer at the table. The Amateur series also featured an ‘Open Doubles Trophy‘ and an ‘Open Singles Trophy‘, which was open to all registered players that attended the Amateur weekend. For the first time, this year the Junior Singles event took place during the Amateur Series weekend and the tournament organisers also trialled a small but successful Special Needs event, truly making the Golden 8 Ball Festival of Pool, accessible to everyone, regardless of ability or skill level. In total, a prize pot of £10,000 was up for grabs to the winners of the various competitions. The Pro-Am Series took place the following weekend, and featured an £18,500 prize fund across 7 competitions, including the Gold, Silver and Bronze Trophy, the Wooden Spoon, Men’s and Ladies Singles and Mixed Doubles.